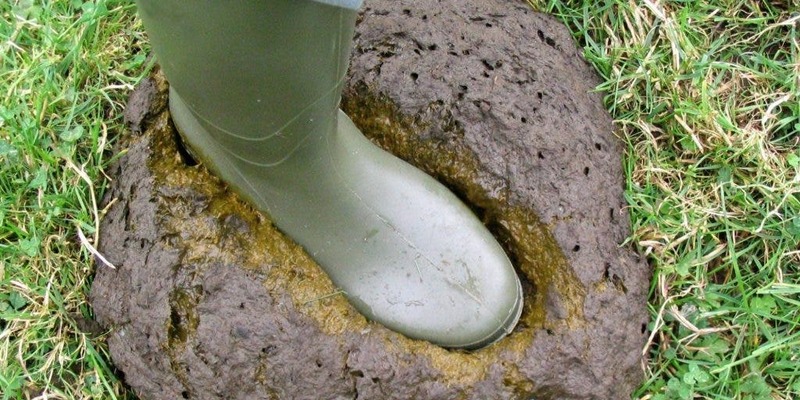 Manure has been used as a plant and crop fertilizer since the dawn of agriculture, but since poop is naturally occurring it’s been essential to the ecosystem far before humans evolved on this planet. But as the planet’s megafauna has steadily dwindled, so has the megapoop significantly impacting the nutrient-recycling system. According to Joe Roman, a biologist at the University of Vermont, in some cases nutrient transport via pooping today is only 5% of what it used to be during the Ice Age. Large beasts like the wholly mammoth, giant sloths and mastodons were particularly effective at spreading nutrients, Roman says. These animals traveled for long distances (ok, the sloth not so much) and spread essential nutrients like phosphorous and nitrogen to the soil, boosting its productivity. “In a sense, Earth was a land of giants before humans colonized the planet,” said Roman. Some 10,000 years ago 150 large mammals roamed the surface of the Earth, but these animals are today extinct due to human hunting and poor adaptation to climate change (the Ice Age). As a result, Roman says, the spread of nutrients away from concentrated sources has plummeted to 8% of what it used to be during those times. Moreover, the poop-to-soil path nutrients take isn’t evenly distributed throughout the globe. In Africa where there are still many large mammals, like elephants, nutrient transport from manure is at 46 percent of what it was about a million years ago. In South America, however, this figure sits at 1%. In the ocean, things are even worse. Today,nutrient transport via pooping is down to 5% from historic levels. This plummeting downfall can be attributed to over fishing. Whales feed on nutrients in the ocean depths, then transport these to the ocean’s surface. In the past century, however, large whale population have been cut by 90% impacting the ocean nutrient transport. Researchers estimate that the ability of whales and other marine mammals to transport phosphorus has been cut by 77% due to fishing. Poop is also a highly effective way to move nutrients from the ocean to the sea. Birds pluck fishy plunder from the seas and oceans, then return to their nesting areas. Invariably they poop on land spreading nutrients sourced from the marine ecosystem. Seabirds are down 70% since 1950, and this shows. Phosphorous movement via both bird poop and dead fish is down an estimated 96 percent, Roman said. “This once was a world that had 10 times more whales; 20 times more anadromous fish, like salmon; double the number of seabirds; and 10 times more large herbivores — giant sloths and mastodons and mammoths,” Roman said. While the paper published in the Proceedings of the National Academy of Sciences didn’t go as far as making any conclusions pertaining to the quality of the soil, the link between manure and soil nutrients is well established. Considering this, it may very well be likely that plants today are less rich in nutrients, and consequently so are the herbivores and predators that feed on the latter. The scientists suggest raising more animals in free-range environments. Cattle or other livestock raised in enclosed environments do no spread poop nutrients.